For many actors, there are fewer decisions more agonizing than figuring out which coast will better suit their pursuit of an acting career. And the more people you ask, the less certain you become. Ultimately, you have to decide where you think you have the best chance of fulfilling your goals as an actor. Of course, it never hurts to be diligent in your research. It’s New York! One of the most vibrant and unique cities on the planet. There’s an endless stream of inspiration to draw from. New York is populated by millions of ambitious people who come to be the best in their chosen fields. Complacency is not an option in this town, which can motivate you in positive ways. Opportunities to hone your craft are easy to find. There’s always a reading, workshop, play, or student film happening somewhere in the city. New York is still the mecca of theater. Well beyond the bright lights of Broadway are hungry artists telling bold and compelling stories in dimly lit black box theaters and makeshift artist spaces. The densely populated metropolis makes building creative alliances easier; community is already all around you. This place ain’t cheap, which can make hanging your hat in the Big Apple a doozy. As remarkable a city as New York is, everything is tougher: the weather, the breakneck pace of daily life, and the cost of living. There are several episodic series and films shot in New York every year but remember: it’s still a theater town. If your sole focus is television or film, New York may not be your best bet. Depending on your goals, you may start to feel the industry in New York has a ceiling. One can only appear on “Law & Order” so many times. And though there are pilots regularly filmed here, the limited number of productions means there’s less opportunity. New York pales in comparison to the amount of TV and film being shot in L.A. If the silver screen is your first love, Los Angeles will likely be your next mailing address. 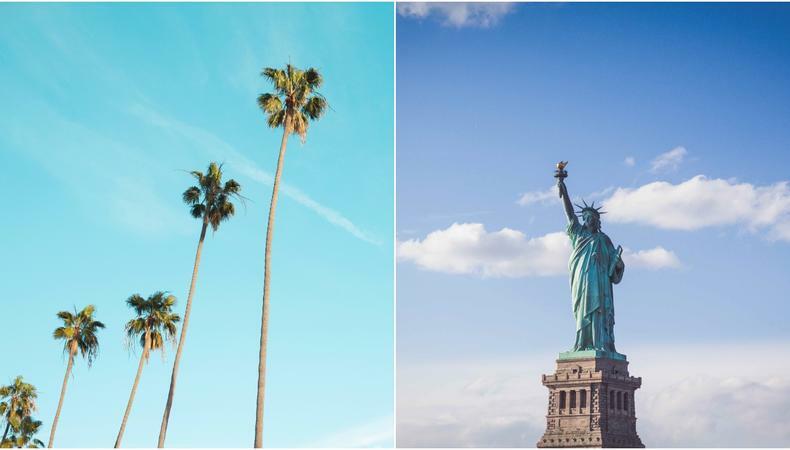 A far more interesting city than it gets credit for, Los Angeles is a wildly diverse and stimulating place with a great deal to offer well beyond casting calls. And contrary to what many people believe, there are some respectable and interesting theaters in and around town like the Red Cat and Pasadena Playhouse. Sunshine and beautiful beaches may not seem like a hard sell but the atmosphere can lend itself to a healthier mindset. Make no mistake: you must work hard in Los Angeles but the town’s temperament, if used sensibly, can contribute to living a more well-rounded and grounded lifestyle. You can’t turn a corner without running into an actor, writer, or producer (or at least someone who claims to be), which can make collaboration easy. Just make sure you surround yourself with a tribe of like-minded, productive, and focused people. Los Angeles is home to some of the top film schools in the world. Many of these promising students go on to do big things but before their Oscar acceptance speeches, they shoot lots of films. Films need actors. You’re an actor. See where this is going? Community. There’s that word again. Simply put, you need a car in L.A. I suggest a list of great audiobooks and a very comfortable driver’s seat because the two of you are going to become fast friends. Community exists, but unlike New York, it’s up to you to seek it out. Because Los Angeles is so spread out, it means your auditions will be as well. I’ve had auditions in Culver City, West Hollywood, and even Brentwood. Unlike New York where many of your auditions are often within a seven or eight block radius, you’ll need to allow yourself more time than you think to get to each audition. There are a lot more projects being shot in Los Angeles, but there are also a lot more actors. A simple breakdown for say, a co-star role can literally receive thousands of submissions. It can be a grind to cut through the noise unless you have a top-tier agency. Even then, it’s no guarantee you’ll be seen. It’s a lot to consider, but try not to get discouraged. I suggest giving some serious thought to the type of work you want to pursue as an actor. If it’s the theater that beckons, New York is your town. If your dream is to work with J.J. Abrams, Los Angeles is probably your best option. Most importantly, consider the quality of life you want to have when you’re not bouncing from one audition to the next. Where you call home significantly impacts the way you approach your career. As simple as it sounds, live and work where you think you’ll be happiest.